Welcome to the finest city on earth! Who Is The London Storyteller? 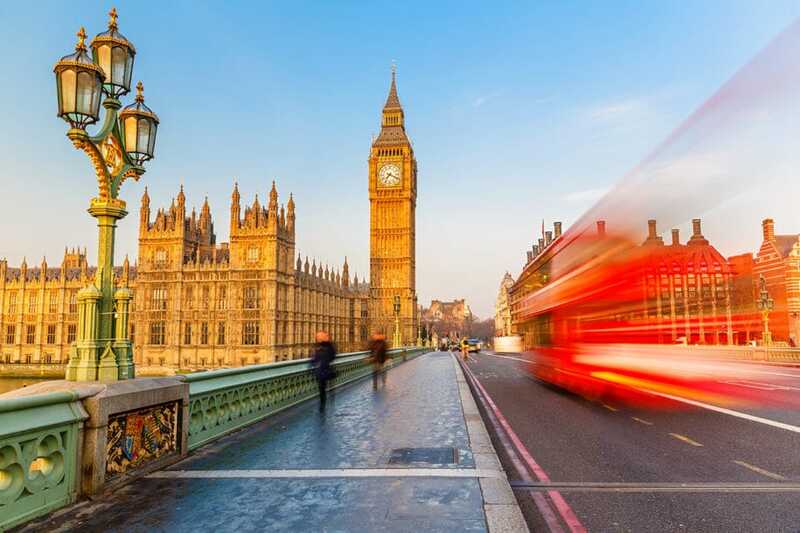 So, you’ve arrived in London and you’re ready to get cracking with discovering more than two thousand years of history and the many wonders that make it the finest city on earth! But what are the best ways to get around (other naturally than with a certain Thomas Barclay Matchett showing you around). Here are our top tips for helping you to make the most of your time here. Oyster Card. A frankly baffling name. This is London’s contactless payment system for public transport. You can buy them from ticketing machines at most London Underground stations from ticketing machines. You pay a £5 deposit and then can add either cash to the balance on the card or buy travel cards which include transport by Bus, Tube and Trams. If you choose to top up with cash, remember that the network caps your travel on a daily basis, so for Zones 1-2 (which covers most of central London travelling) the most that you will pay is £6.80. You can read up more on what cards will work here. Plus, for users of Google Pay, Apply Pay, as well as Barclaycard’s bPay service, you can use your phone to tap in and tap out as long as you have set it up with a valid contactless payment card. You can find out more about these here. Watch out for paper tickets. They can get expensive and you can only buy them for a single days travel. There are discounts available for groups such as families and with contactless payments you can even put a family ticket on one card or phone. One important thing to remember! You will need to tap in and out of Underground and train services but on the bus only the tap the card when you get on. The trusty London A to Z book is looking a little old hat these days. The good news is that London’s public transport data is well integrated into various digital services including Google Maps which has all of the timetable data ingested in its app. There also information readily available from the official Transport For London website for route planning and live travel information. The Google Maps app is particularly good as you can also compare travel time from public transport and other services such as Uber when you search for directions. It will also give you the walking time too so that you can compare. Sometimes in London it is quicker to walk a couple of tube stops than it is to go into the station and ride the train. Ahhh, the London Black Cab. Iconic. Made in Coventry. Now owned by the Chinese. 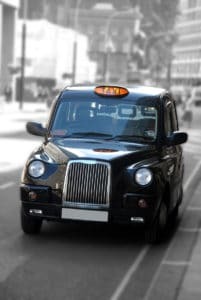 Black cabs have a significant advantage over other forms of private hire vehicles such as an Uber in that they are licensed to use the bus lanes in the city. However, from experience, they tend to be more expensive. In central London though, those bus lanes can make all the difference. If hailing a black cab in London isn’t your style, you can use the excellent cab hailing app Gett available here. For those not yet acquainted with Uber (and their air conditioned cars in which you can often charge your phone or play your music through the stereo), you can download their app here. Words that a motorist is unlikely to hear from one of Her Majesty’s police constables in London. You simply won’t be able to get up to speed. Driving in central London is something that you want to leave to a driver you have hired to do the job for you. The road signs are many, baffling and in some cases contradictory. Cameras lurk around every corner to snap even the mildest of excursions into a bus lane, yellow box or any other modern metropolitan trap for the erstwhile visiting motorist. Regardless of the £10-£20 congestion charge fee that you will have to pay (active Monday – Friday), if you are expecting to park somewhere convenient then we have sobering news for you. It. Is. Not. Possible. In. London. And if you do find a car park, you will almost certainly have to take a second mortgage or cash in the many Bitcoins that you have mining to pay for your luxurious retirement in Monte Carlo to pay for the privilege. On the road parking, scant in availability is very expensive and if you have a hire car, then make sure that you are fully covered for your excess. London operates a public transport cycle hire service. Starting from £2 a ride you just need to take your bank card to one of the many docking stations in the city. When you have finished your ride you can leave the bike at any of the other Santander Cycle Hire stations. You can find the location of the docking sites here and the easiest way to get set up is to download the companion mobile application, which you can download from the TFL website. There are over 11,000 cycles and 750 docking stations across the city. The London Storyteller also reocmmends the MBNA Thames Clipper services. You can use your Oyster Card or contactless payment system with fares typically around £8 per voyage. However, there is a 1/3 discount if you have bought a day long or weekly travel card on your Oyster. 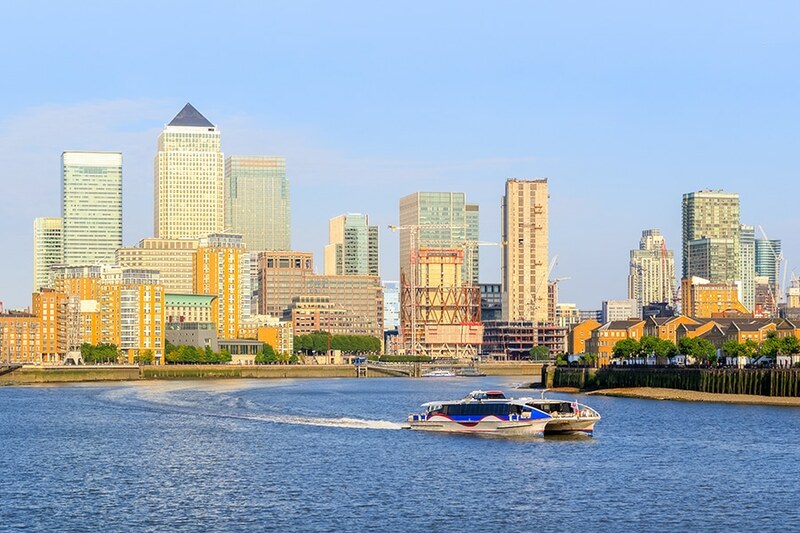 We recommend taking the clipper from Westminster Pier up to Greenwich. Its a great way to see the city and you haven’t been to Tower Bridge unless you’ve been under it! The London Storyteller offers private tours, bespoke cultural discovery and consultancy of the finest city on earth. We are here to serve you and your guests to create truly memorable experiences in London.